The adjustable / expandable bangle bracelet is shiny stainless steel. 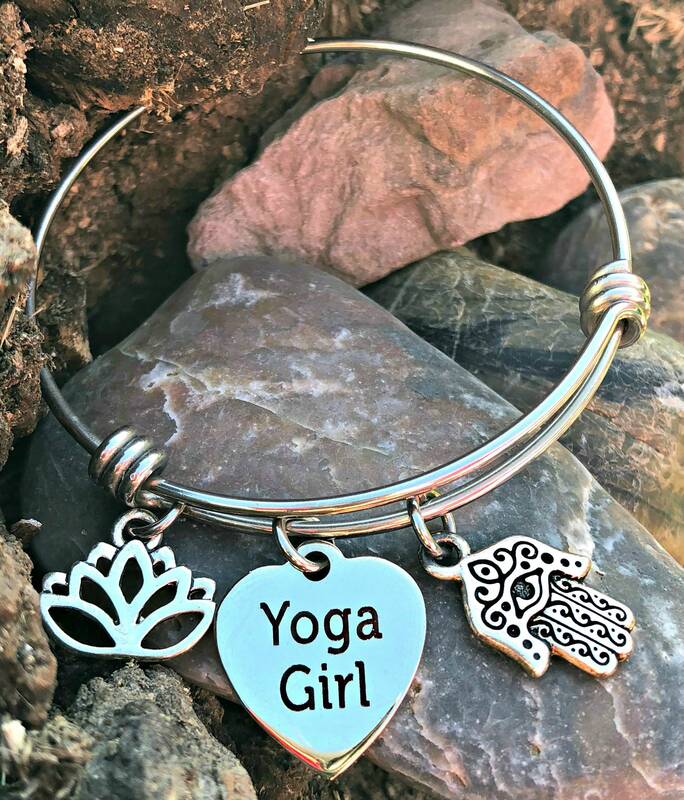 The Yoga Girl charm is stainless steel. The lotus flower and hamsa charms are lead free pewter.